Are you craving exotic romantic vacations for your honeymoon that blows away anything that your friends have experienced? If you’re bored with the traditional beach honeymoons or want to add more luxury and adventure into the experience, you’re the perfect couple for exotic romantic vacations. It’s time to stray from the beaten path and plan the honeymoon of a lifetime, and one of these 10 exotic locations may serve as the perfect backdrop. Milford Sound, New Zealand: You have to find your way to New Zealand’s South Island and then venture through the Fiordland National Park in order to soak up the beauty of this natural wonderland. You’ll venture down The Milford Road to get to the sound, and the views of rain forests, lakes, valleys, and mountain ranges are simply breathtaking along the way. Once you arrive, prepare to slip into a kayak to tour the waters or head up high for a helicopter tour. Warm your legs up for a long hike because you want to see the penguins and take in the flowing waterfalls. You can drive to the sound, but a cruise or bus tour will give you more time to snuggle with your sweetie. Mamanuca Islands, Fiji: A collection of 20 small islands positioned off the coast of Nadi have been one of the most exotic honeymoon destinations for many years. You’ll find some big waves to catch if you’re into surfing, but simply swimming and snorkeling will give you a deeper appreciation for the depths of Fiji beauty. You can also take the dive of a lifetime if you want to get up high and get your adrenaline flowing. Pick an island that appeals to your lifestyle because some are more active while others are all about relaxing in paradise. Nea Kameni: You’ll find this small, uninhabited island in Santorini. It features hot springs with yellow water believed to heal and energize the human body. The yellow color comes from an excess of Sulphur, which makes sense when you realize that these islands were created through the force of exploding volcanoes. Santorini in itself is an exotic locale, so turn this into your honeymoon getaway if you want to walk on lava and see a beach covered in red and black sand. Bora Bora: This is another one of the exotic romantic vacations on an island that was created through volcanic eruption, and it doesn’t get more exotic than that. What will make your honeymoon stand out if you choose this location? How about Jeep tours that will get your heart racing and cuddle time in a bungalow suspended over the water? This is a popular vacation spot for couples, so you won’t lack opportunities for romance. Feusisberg, Switzerland: If you want exotic romantic vacations as well as simple and relaxing, you should consider a honeymoon at the Panorama Resort & Spa. The windows stretch from the floor to the ceiling, giving you big views of Switzerland’s snow-capped mountains. Visiting the spa means taking a romantic lift ride to a higher elevation, and the nighttime lighting around the affinity pool will make it easy to get lost in one another’s eyes for hours on end. There are multiple pools and saunas, and you’ll want to dip into the Kneipp bath as well. It’s exotic, but it’s also a comfortable resort that allows you to relax. Portland, Jamaica: You can do some of the more traditional honeymoon activities here, including lounging on the beach at Frenchman’s Cove or bodysurfing at Boston Beach. What makes this an exotic getaway is the opportunity to do something more unusual. Head to the Blue Lagoon, also known as the “blue hole,” to dive into waters now filling a volcanic crater that is nearly 200 feet deep. Head to the Rio Grande Valley to see the McKenzie Falls, or simply gear up for an exciting whitewater rafting expedition down the Rio Grande. Excitement is everywhere in Jamaica regardless of your budget. South African Safari: Don’t confuse a safari honeymoon with the requirement to shoot and kill big game. Many couples get a rush out of simply spotting lions, elephants, cheetah, and other animals that most people only see in books. You can stay in a luxury safari lodge for exotic romantic vacations, providing safety and comfort while you spend most of your time wandering in the wild outdoors. Cayo District, Belize: Have you ever heard of cave tubing? Did you know that you could tour legitimate Mayan ruins? If you’re searching for a truly exotic experience, consider slipping into the jungle in Belize. The Cayo District feature a variety of vacation lodges that are located deep in the rain forests and jungles. You’ll enjoy activities that most people have never even heard of, and you’ll get to do it all with your new husband or wife. Granada, Nicaragua: How does a pleasant stroll up a volcano sound for your upcoming vacation? Volcan Mombacho in Granada offers a leisurely hike, so you don’t have to worry about wearing yourself out before returning to lower elevation for a romantic dinner and a little hand holding as you stroll through Calle La Caldeza to people watch. Ziplining and a horse-drawn carriage ride should set you up for exotic romantic vacations that are also quite exciting. Kauai, Hawaii: There’s no shortage of exotic beaches in Hawaii, but this is one of the more exclusive options. It’s smaller and less developed than many of the most popular honeymoon beaches, and you’re less likely to encounter a crowd of tourists when you venture out to the water. To add some adventure to your trip, give up time on the beach to hike the Kalalau Trail or take in the cliffs at Polihale State Park and the waterfalls cascading at Wailua Falls. You can even spend your honeymoon backpacking rather than resting in a resort or hotel. 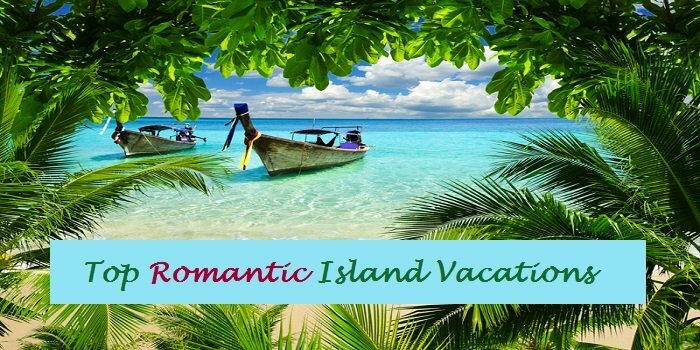 If one or more of these exotic honeymoon locales grabs your interest, spend some time learning more about the deals currently offered for accommodation. While you may have to pay for some of the luxuries that come with an exotic honeymoon, don’t assume that every luxurious destination comes with a hefty price tag. You may find ways to make it work even with a more modest budget. Remember, you’re investing in a trip that should top every other vacation experienced at this point in your lifetime.